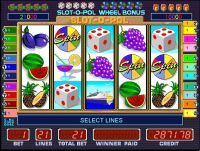 Pyatibarabanny 21-line slot with free games, bonus games and Jackpot. 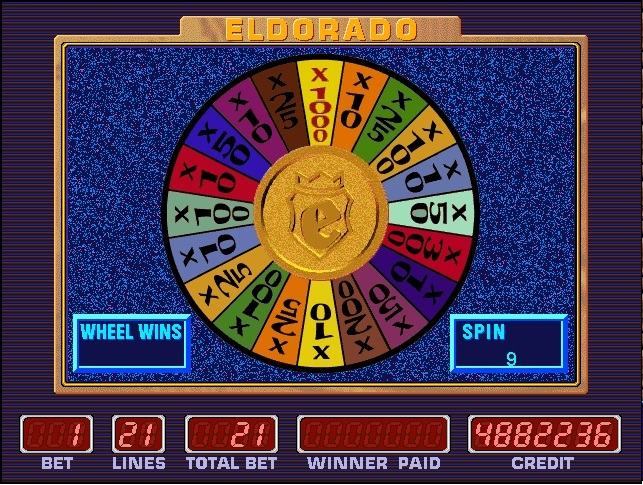 SPIN THE WHEEL BONUS falls at 5 symbols on the winning line of wheels and gives nine rotations. 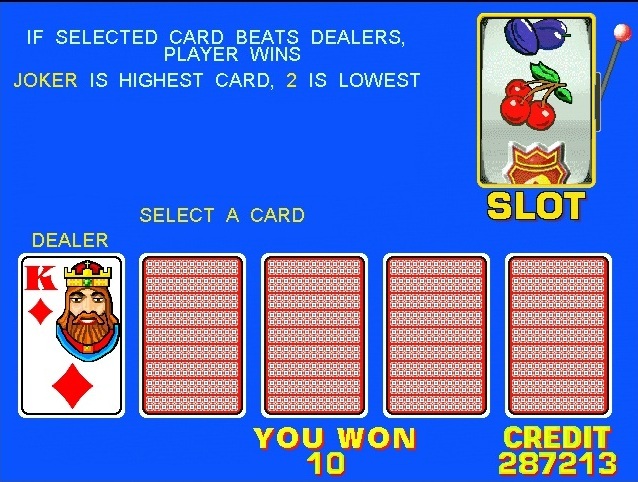 Each rotation gives the win. 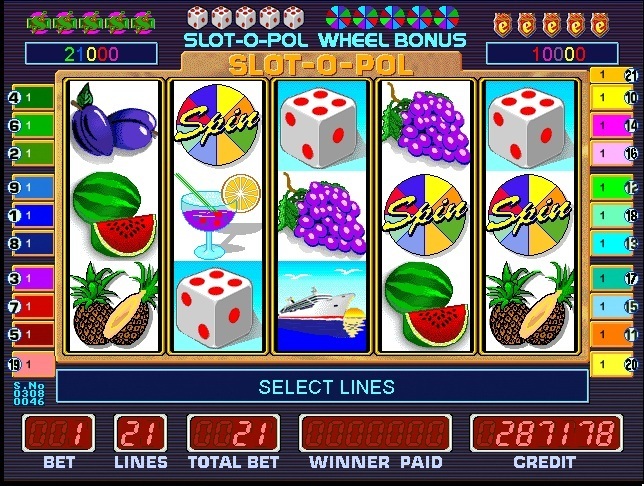 SLOT-O-POL BONUS falls under 5i bones on the active payline and allows you to get the win by throwing seven dice. 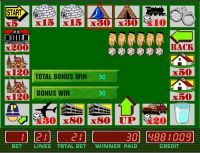 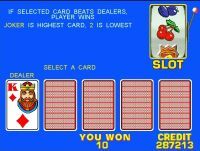 The bonus game starts on a roll of five characters "dice" on an active payline and allows get the win by throwing 7 dice. 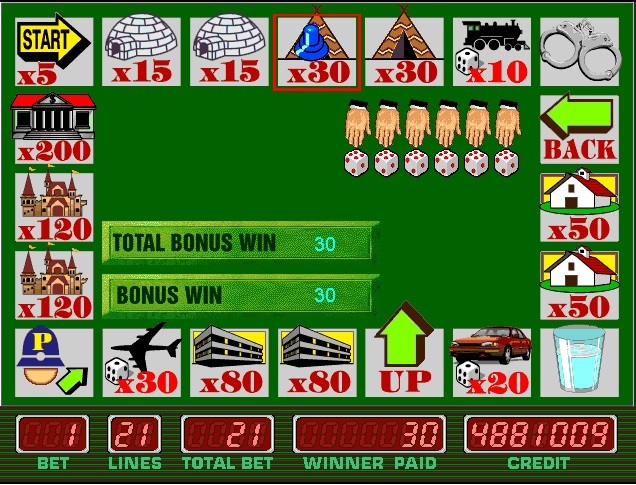 Depending on the number on the dice, you'll move up the table cells. 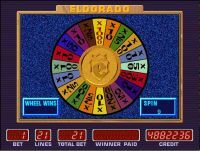 In this case, you will benefit from each throw will be equal to the number specified in the cell multiplied by the bet.